Redshirt-senior midfielder Peter Pearson earned Atlantic 10 Co-Offensive Player of the Week honors for his performance against St. Bonaventure. Photo by Michael Mickle. Women’s Soccer took down the Saint Joseph’s Hawks Nov. 2 in the Atlantic 10 semifinal, edging out its Philadelphian opponent 2-1. 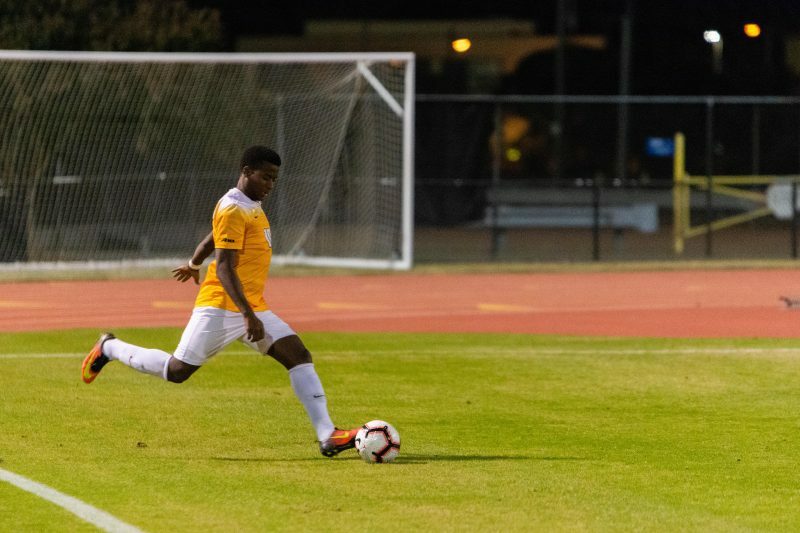 But the Rams fell to the Saint Louis Billikens by a 5-1 in the conference championship Nov. 4, closing out the season with a 16-4 record and 45 goals. Sunday’s A-10 matchup with the Billikens saw the Black and Gold fall 5-1 to a powerful Saint Louis team in Ohio, with the lone VCU goal coming from junior midfielder Ingrid Brouwer. Redshirt-junior defender Amanda Tredway tallied two shots. Redshirt-sophomore midfielder Emma Kershner had the only assist of the day. Saint Louis came out of the gates strong as it racked up two goals in the first 20 minutes. The Billikens’ senior forward Lindsay Sands kicked off the scoring with a goal just four minutes into the match, and VCU contributed an own goal to go down 2-0. The remainder of the first half, and most of the second, passed with little scoring and heavy defensive work by both teams. Brouwer’s goal brought the Rams within one, however, as her second scoring effort of the season came just over 73 minutes into the match. Saint Louis responded with an aggressive volley of offensive pushes that Billiken senior forward/midfielder Maddie Pokorny took advantage of, knocking down three goals for a hat trick. 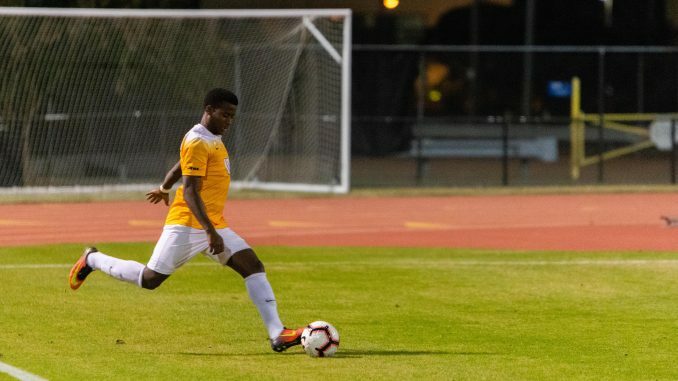 The onslaught gave the Billikens all they needed to close out the match, as the three goals — all within 15 minutes — were the final nail in the coffin for the Rams. VCU put up its best record of the decade in 2018. Friday’s victory over the Saint Joseph’s Hawks saw Brouwer notch her first goal of the season, while sophomore midfielder Samantha Jerabek scored her 11th goal, assisted by redshirt-junior defender Megan Enos. Jerabek ignited the Rams’ offense early with that score, which came in the third minute of play, and the Rams outlasted the Hawks. Brouwer’s goal broke a 1-1 tie past the midpoint of the second half, giving the Rams a 2-1 lead and just what they needed to edge out the Hawks. Her 76th-minute shot made the difference for the Black and Gold, giving the Rams their sixth consecutive victory. Redshirt-freshman goalkeeper Grace Young made eight saves. The Black and Gold closed out its season with a 9-1 record in the conference, averaging 2.25 goals per game. VCU averaged 15.7 shots per game, only allowed 1.13 goals per game and ended the season with an .800 winning percentage. Jerabek led the team with 11 goals on the season, while senior forward Kelly Graves and junior midfielder Alyssa Tallent followed close behind with seven and four goals, respectively. Jerabek recorded 29 points and 71 shots, playing all but one game. Redshirt-senior goalkeeper Audrey Sanderson concluded the year with a 13-2 record, making 50 saves and only allowing 15 goals while playing more than 1,500 minutes in front of the net. Sanderson also recorded a .769 save percentage, with team racking up seven shutouts on the season. The Rams conclude their 2018 campaign with the best record of the decade. VCU graduates six seniors this offseason.